Who invented Movies? The name of the person credited with inventing Movies is Eadweard Muybridge (1830 - 1904). Eadweard Muybridge is not only famous as the English inventor of the Movies but also as a photographer, movie maker, entrepreneur and businessman. When were the Movies invented? Eadweard Muybridge invented the Movies in 1878, during the Second US Industrial Revolution period of invention (1850 - 1914). The first movie ever made was called "The Horse In Motion" which was created by Eadweard Muybridge in 1878. Definition of the Movies: Movies are defined as a film-based or video-based motion pictures in which a recorded sequence of images are rapidly displayed on a screen creating the illusion of motion and continuity. Fact 1: Who invented Movies? Movies were invented by Eadweard Muybridge in 1878 during the Second US Industrial Revolution era of inventions (1850 - 1914). Fact 2: Who invented Movies? Prior to the invention of the Movies in 1878, a number of inventions relating to motion and vision had been developed including the Magic Lantern, the Thaumatrope (an optical illusion toy), the Fantascope, the Kinematoscope and the Phasmatrope. Fact 3: Who invented Movies? The movies would not have been invented without the invention of photography. Joseph Nicephore Niepce took the first photograph in 1827, Louis-Jacques-Mande Daguerre invented the daguerreotype in 1839. William Henry Fox Talbot invented the early photographic process called Calotype in 1841 and John Wesley Hyatt developed celluloid in 1870 which was later used as the base for photographic film. Fact 4: Who invented Movies? The history of the movies moved on in the late 1870's when Thomas Alva Edison invented the incandescent light bulb in 1879 which was later used for film projectors. The Age of Electricity had arrived. Fact 5: Who invented Movies? The man credited with inventing Movies, Eadweard Muybridge, created a stop motion film to answer a simple , but much debated question - When a horse trots, do all four hooves leave the ground simultaneously? Eadweard Muybridge's movie answered the question with an indisputable "Yes!". Little did he know that his experiment would started the multi billion movie industry. Fact 6: Who invented Movies? The inventor of the Movies, Eadweard Muybridge, was born on April 9, 1830 in Kingston upon Thames, London, England, he emigrated to America in 1850 and died on May 8, 1904 at his place of birth in Kingston upon Thames. Fact 7: Who invented Movies? The early years of Eadweard Muybridge were spent in Kingston upon Thames, London, England, UK where he was raised by his family. His given name was in fact Edward James Muggeridge, but he changed his name to be different by adopting old English spellings and became Eadweard Muybridge. Fact 8: Who invented Movies? Eadweard Muybridge immigrated to the United States at the age of 20 years old and he became a bookseller in San Francisco and became the commission merchant for the London Printing and Publishing Company. Fact 9: Who invented Movies? Eadweard Muybridge became interested in Cameras and new techniques in Photography. So great was his passion for photography that he gave up his business and travelled to California to start a career in landscape photography. Fact 10: Who invented Movies? In 1860, he embarked on a trip to travel east via stagecoach, before sailing abroad. However, he had a near fatal stage coach accident in Texas that seriously injured his head. Fact 11: Who invented Movies? Eadweard Muybridge, suffering from double vision and headaches, went to New York City, where he sued the stage coach company, and then sought medical treatment in London. Fact 12: Who invented Movies? Eadweard Muybridge stayed in England for seven years, recuperating in his old home town of Kingston upon Thames. During this time he started to develop his own new photographic techniques and eventually decided to return to America, where he believed there would be more opportunities to further his career as an inventor and photographer. Fact 13: Who invented Movies? Eadweard Muybridge returned to San Francisco in 1867 where he opened a photographic studio. In 1872 Eadweard Muybridge married Flora Shallcross Stone who was 22 years his junior. The couple had met when Flora Stone was working as a photographic re-toucher at another studio. Fact 14: Who invented Movies? The marriage was a disaster leading to a massive scandal involving infidelity and murder. While Eadweard Muybridge was on an extended photographic trip, Flora took a lover called Harry Larkyns, a former major in the British army, and became pregnant. Eadweard Muybridge returned from his trip and shot and killed Harry Larkyns at point-blank range. Fact 15: Who invented Movies? In 1875 Eadweard Muybridge was put on trial for premeditated murder. He put in a plea of insanity that was said to be a result of the stage coach accident he had several years earlier. Eadweard Muybridge was found not guilty of the charges, as the jury decided to acquit based on the grounds of “justifiable homicide” rather than the insanity plea. Flora died in 1875 and her child, Floredo, was placed in an orphanage. Fact 16: Who invented Movies? After the trial Eadweard Muybridge continued with his pioneering work in photography motion (which predated the evolvement of the film camera). Muybridge also experimented with animation and the projection of still images to give the illusion of a realistic movement. Fact 17: Who invented Movies? In 1877 California senator Leland Stanford, a railroad magnate and race-horse owner, asked Eadweard Muybridge to settle the debate on whether all four hooves of a horse leave the ground simultaneously when the horse was trotting or galloping. Leland Stanford's horse was named "Occident" who became the subject of Muybridge's experiment that led to the invention of the movies. Fact 18: Who invented Movies? Eadweard Muybridge had already experimented with various automatic shutters to quickly capture movement and based on these ideas he set up in 12 cameras along a Sacramento racecourse. As Occident galloped past, the horse tripped wires, in rapid succession, that were connected to the camera shutters. Fact 18: Who invented Movies? The photographs of Occident were used in 1878 to produce the first movie ever made using glass disks as the "slides" for his projector. The first movie ever made was called "The Horse In Motion". Fact 19: Who invented Movies? Eadweard Muybridge continued his pioneering work on movies and died on May 8, 1904 in Kingston-on-Thames, England . Fact 20: Who invented Movies? Eadweard Muybridge’s stop-motion technique was an early form of animation that helped pave the way for the motion-picture industry and our favorite movies. Fact 21: Who invented Movies? In the 1890s, motion picture cameras were invented. In 1888 Thomas Alva Edison, and his assistant W.K.L Dickson, invented the Kinetograph camera and Kinetoscope viewing box for making and showing moving pictures. Fact 22: Who invented Movies? In 1888 Etienne Jules Marey invented a box type moving picture camera which used an intermittent mechanism and strips of paper film. Fact 23: Who invented Movies? In the 1890s film production companies started to be established. In 1893 Edison and Dickson build a studio on the grounds of Edison's laboratories in New Jersey, to produce films for their kinetoscope. 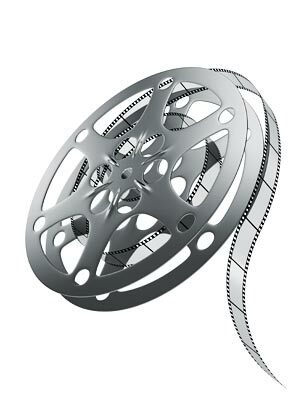 Due to limited of technology, the first movies of the 1890s were under a minute long. Fact 24: Who invented Movies? In 1894 Louis and Auguste Lumière design a camera, called the Cinématographe, which served as both a recording device and a projecting machine. Fact 25: Who invented Movies? The rise of the Film studios continued. Paramount Studio was founded in 1914, MGM (Metro-Goldwyn-Mayer) was formed in 1924, 20th Century Fox started in 1914 and Warner Brothers was founded in 1923. Fact 26: Who invented Movies? The first major feature length silent movie was the highly controversial 1915 'Birth of a Nation' that was directed by D. W. Griffith. Fact 27: Who invented Movies? The first all-color movie called 'Toll of the Sea' was released in 1922 starring Anna May Wong. The first 3-D movie was also premiered in the same year. Fact 28: Who invented Movies? The first movie with sound effects and music, called Don Juan starring John Barrymore and Mary Astor, was made in 1925 by Warner Brothers. Fact 29: Who invented Movies? The first 'talkie' movie, 'The Jazz Singer' starring Al jolson was released by Warner Brothers in 1927. The Jazz Singer consisted mostly of music with only a couple of hundred spoken words. Fact 30: Who invented Movies? The first Oscar (Academy Awards) ceremonies for movies took place in 1929. Charlie Chaplin won an honorary award for 'The Circus'. Who invented Movies - Eadweard Muybridge - Inventor - Invention - Movies Definition - Meaning - Who invented Movies - Famous - Important - Movies History - Timeline - Innovation - Significant - Development - Leisure and Entertainment - First - Definition - Who invented Movies - Kids - Facts - Information - Info - Who invented Movies - Dates - When - Why - Impact - Purpose - Use - New - Old - Amazing - Who invented Movies - Best - Definition - Meaning - Awesome - Cool - English - Movies History - Movies Timeline - Who invented Movies?